Before we kiss this election season goodbye when the polls close Tuesday night, we should take some time to really reflect on the past year or so. 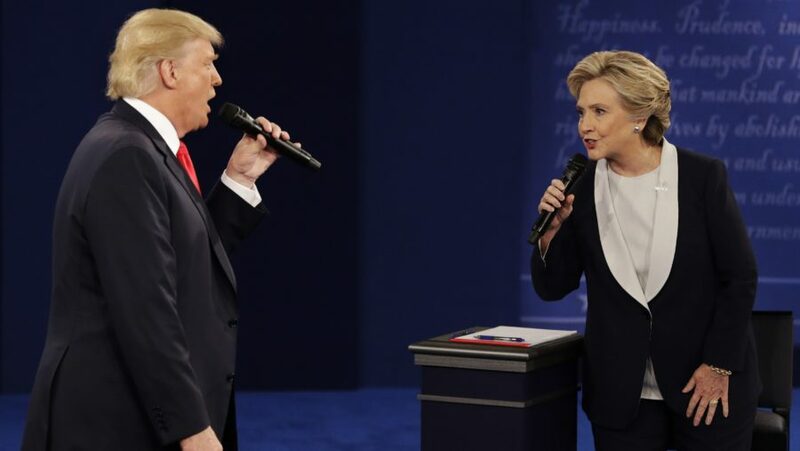 The 2016 election, particularly the general race, has been interesting, exciting and somewhat excruciating to follow, not in the least because of some of the characters who were in the spotlight. What better way to celebrate the end of this period by taking some of the craziest or most exciting moments of the election completely out of context? We at the Clog have traversed the slippery slope of election quotes and have compiled a list of just some of the many memorable quotes from this election, in no particular order. “Such a nasty woman.” — Donald Trump, said during the third presidential debate. “I think Donald just criticized me for preparing for this debate. And, yes, I did. You know what else I prepared for? I prepared to be president.” — Hillary Clinton, said during the first presidential debate. “I think my strongest asset by far is my temperament. I have a winning temperament.” — Donald Trump, said during the first presidential debate. “Our motto is, when they go low, we go high.” — Michelle Obama, said during her Democratic Convention speech. “I said no to some jokes that I thought were over the line, but I suppose you can judge for yourself on WikiLeaks in the next few days.” – Hillary Clinton, said at the Al Smith dinner. “Well, Donald, I know you live in your own reality.” — Hillary Clinton, said during the first presidential debate. “Senator, you whipped out that Mexican thing again.” — Mike Pence, said during the vice presidential debate. “To just be grossly generalistic, you can put half of Trump supporters into what I call the basket of deplorables.” — Hillary Clinton, said at a fundraiser. “Do you want a ‘you’re hired’ president in Hillary Clinton or do you want a ‘you’re fired’ president in Donald Trump?” — Tim Kaine, said during the vice presidential debate. “He spoke for 70 odd minutes, and I do mean odd.” — Hillary Clinton, said at the DNC. “There has to be some form of punishment.” — Donald Trump, said at a town hall meeting. “I call it trumped up, trickle down economics.” — Hillary Clinton, said at the first presidential debate. “I love Hispanics.” — Donald Trump, tweeted on Cinco de Mayo. “A man you can bait with a tweet is not a man we can trust with nuclear weapons.” — Hillary Clinton, said at the DNC. “Don’t boo. Vote.” — Barack Obama, said at the DNC. Taylor Follett is the assistant blog editor. Contact Taylor Follett at [email protected].